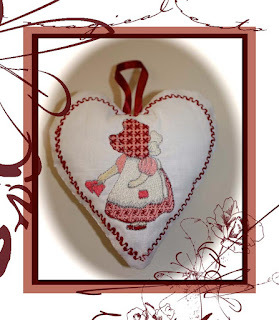 Cookie's Embroidery and Sewing Creations: Have a heart! I have put Bentley and Stella to work testing out toys that I made with my embroidery machines using heavy weight canvas fabric. Stella absolutely wore herself out and she fell asleep on the first one I did for a Beta test before I trimmed it up. The cookiescreations newsletter is due out tomorrow at midnight. 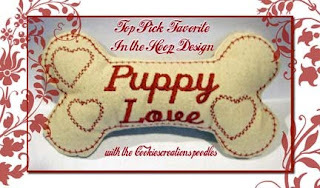 Enjoy the newsletter and visit cookiescreations.com website & subscribe now (if you haven't done so already) See how we enjoy loving our puppies and you can love yours, too, with our special free gift file. Do you need some small Valentine gifts for your friends and family? Look at some of ours. 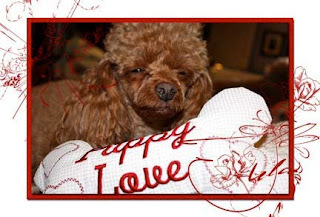 And consider embroidering your cards for that special loving touch! How sweet is this sachet pillow? So sweet as it stitches out quickly all in the hoop and mine contains lavender! What is an I-T-H? 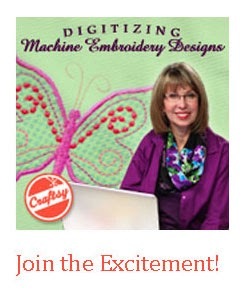 ITH - in the embroidery world stands for In-the-Hoop designs. These projects stitch entirely in an embroidery hoop and require little or no additional sewing. 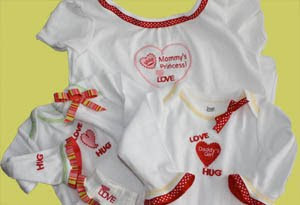 You can use the Valentine collection to turn plain white baby T's into adorable t-shirts and socks, trimmed with pretty ribbons featured here! One of the most common questions I hear is, "How do you get those ribbons stitched on to those socks?" Let me show you how by watching the Videos for the Sock Easy. 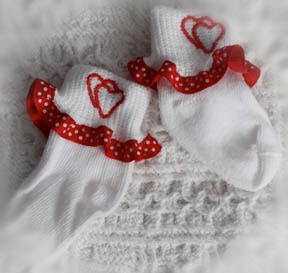 There are several tips in the videos that will provide you guidance whether or not you use a Sock Easy unit to accomplish your embellishing of baby items, gloves and more. One of our favorite decor items is this lovely towel which some of you have seen in our travels. The towel is from allaboutblanks.com and the design is from our Valentine collection and I wove a ribbon into the hemstitching. I have used these designs on cocktail napkins, sachet pillows, & bookmarks in addition to accessory items. Some of these are featured in our February newsletter so don't forget to subscribe at cookiescreations.com. Quick gift: I love to embroider little hearts on netting using water soluble stabilizer and then ripping away the excess tulle and placing them on soaps by dampening them on the bottom to create sticking power! A fast hostess gift and perhaps wrapped with a little guest towel if you have the extra time. But if all fails, give them chocolate! It is always my personal favorite gift. My second choice would be a Kindle! Dream BIG! It costs nothing... I need to do a few finishing touches to the newsletter and the Grammys are a distraction. I just took off my 3 D glasses a minute ago! Have a wonderful evening. Does your mind keep on working when you are asleep coming up with all these cute idea's? Can't wait to see what you share with us at IEC this year. Tooo cute indeed.... Don't you just love the "love Holiday"? Now all I need it a little dog for that adorable bone.. since I am pretty sure they are not "Great Dane" approved! Click image and save now! 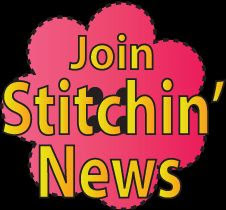 Stitch In Time with Carol Price! 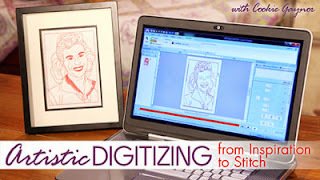 Visit CookiesCreations.com for more free how to videos! All images/graphics are protected under US Copyright and belong to Cookie Gaynor and Cookie's Creations, LLC. Please do not save to your hard drive, download, print or post any image from this blog.